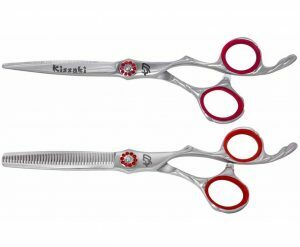 Horimono 7.5″ Hair Shears & Tobiyaki 30t Thinning Shears Set. This is a matching set of hair shears including the Horimono 7.5″ Hair Cutting Shears & the Tobiyaki 6.0″ 30 tooth Thinning Shears featuring an offset grip and easy click leaf spring tension adjustment knob. 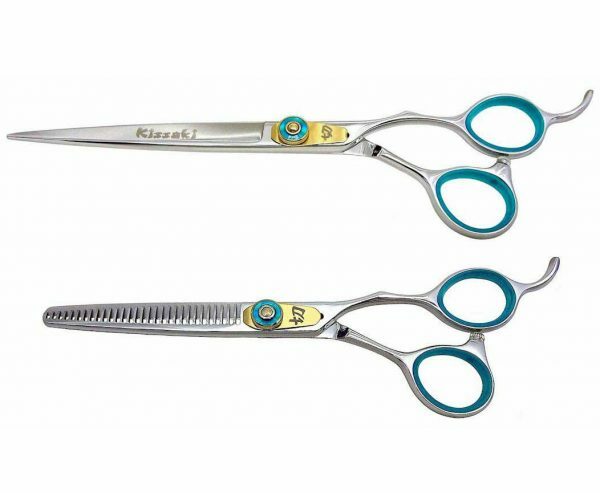 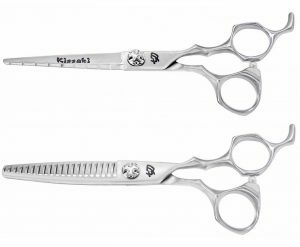 These Hair Cutting Scissors are made from the Highest Quality Japanese Hitachi SUS 440C Stainless Steel (Rockwell Hardness of 60+) and polished to a brilliant Mirror Finish. 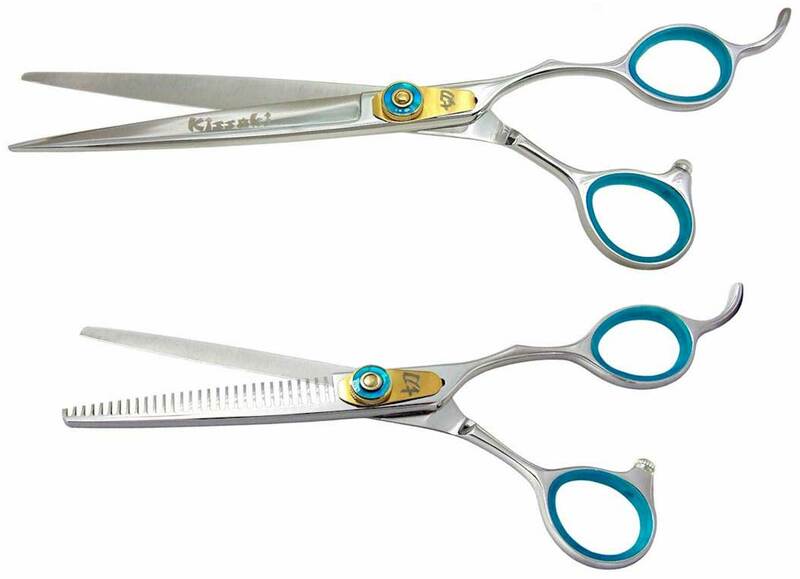 The Horimono 7.5″ Hair Shears & Tobiyaki 30t Thinning Shears Set is an ideal matching set of hair shears for professional Hairstylists, Hairdressers and Barbers in high volume hair cutting salons.